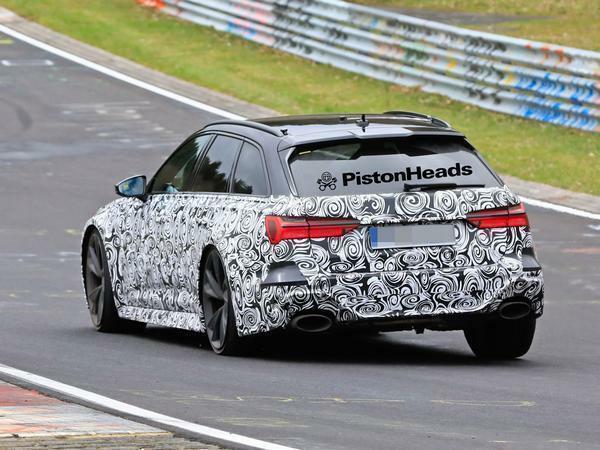 Home > News > German cars > Next Audi RS6 could get 650hp: Video! 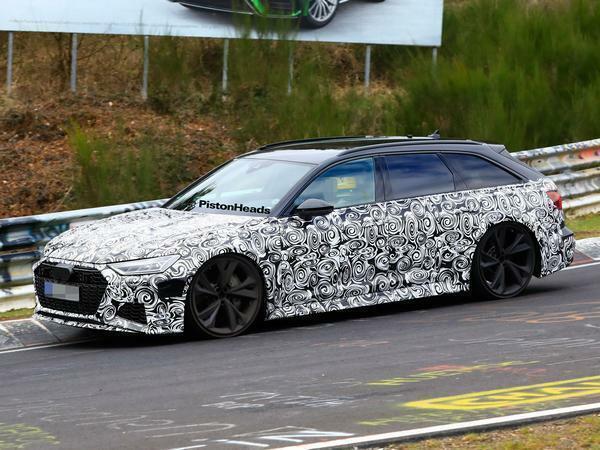 Next Audi RS6 could get 650hp: Video! Like your family cars of the muscular, burbly and very mean kind? You’ll be wanting to watch our new video footage of Audi’s next-gen RS6 Avant testing at its favourite venue. The development car is being put through its paces on the Green Hell in the run up to its launch, with the V8-powered – yep, there’s no mistaking the source of that noise – German doing what its forebears did, defying the laws of nature, as effectively as ever. The new Audi Sport could be on for a slight reduction in mass, which might help with all the anti-physics stuff, thanks to the use of the MLB Evo platform. Although you’re unlikely to hear anyone this side of a ship engineer call the RS6 light. Certainly the test car ducks and dives along the Nurburgring like a circa 1,900kg car, with what appears to be some natural (and expected) understeer, that’s swiftly followed by grip and a lot more grip. Note the way those four wheels deploy an anticipated 650hp into the asphalt. Sweat is never broken. Could we be on the cusp of a new engine power war between the Audi RS6, BMW M5 and Mercedes-AMG E63? We are, after all, in an era when the last pure combustion-powered models of this type exist, all producing around 600hp from turbocharging. To achieve more in the future while also conforming to ever-tightening emissions limits, hybrid power is somewhat inevitable, meaning today’s non-electrified cars might be the last of the ‘old school’. 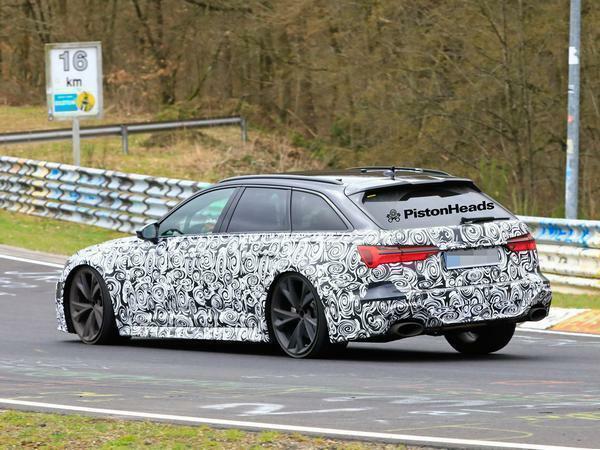 And if rumours of the next Audi RS6 are anything to go by, it could be the most potent of them all. Seen here in Avant form - what else? - at the Nurburgring, it’s due with a further developed version of the current twin-blower 4.0-litre V8 that should push it comfortably over the 600hp mark, which previously only the Performance variant was capable of. 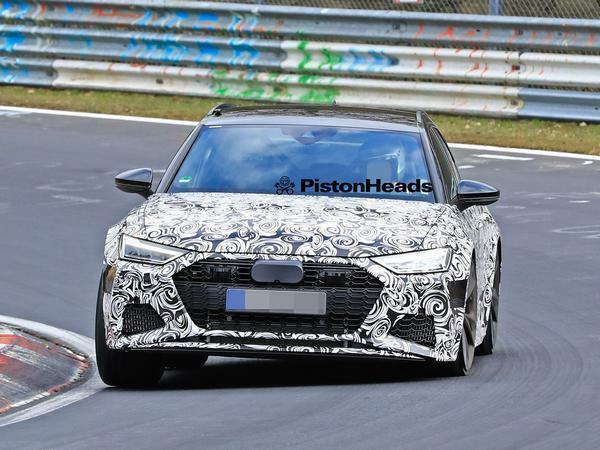 This would bring the RS6 right up to the sharp end of the class, with some speculators suggesting it'll breeze past the AMG E63 S’s 612hp and BMW M5’s 625hp with a Lamborghini Urus-matching 650hp. That's quite a way to close off an era of pure combustion engined Audi Sport A6s. 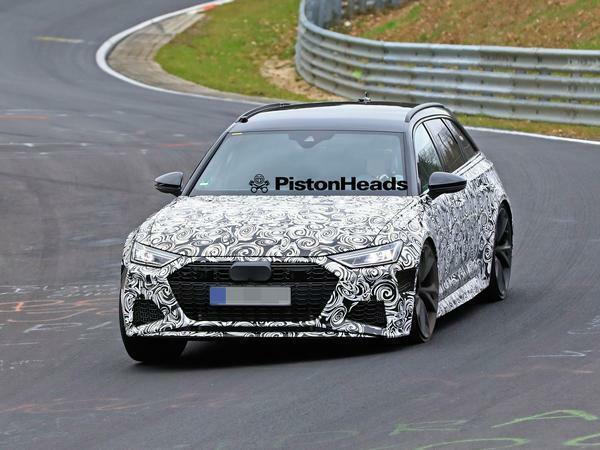 Things could get hotter still with this generation, because the RS6 line-up looks set to gain its first hybrid variant, mating that V8 to an electric motor with an output edging towards 700hp the expected result. The plug-in setup will be shared with the RS7 and has been powering Porsche's Panamera Turbo S E Hybrid to 680hp for a couple of years, where it also enables 31 miles of electric range. Though those in search of a purer package will likely still find the inevitably lighter non-hybrid RS6 the more naturally sporting option, at least as far as handling is concerned. It looks enormous, doesn’t it? If the pictures are anything to go by, the next RS6 Avant’s use of a 12mm longer A6 estate body and frankly massive wheels should also help it dwarf all other wagons in a car park. The growth spurt for the regular car was driven by the desire to create a roomier cabin, but the knock-on effects of this bigger MLB Evo skeleton are an extended wheelbase and wider tracks. In the RS6, that should provide more grip and traction, although the old car was already famed for its unbreakable bond with the tarmac. I imagine the blinding headache induced by the road noise from those stupid tyres will be slightly distracting. It's not the skinnyness; it's the profile. The road noise will drive you crazy. 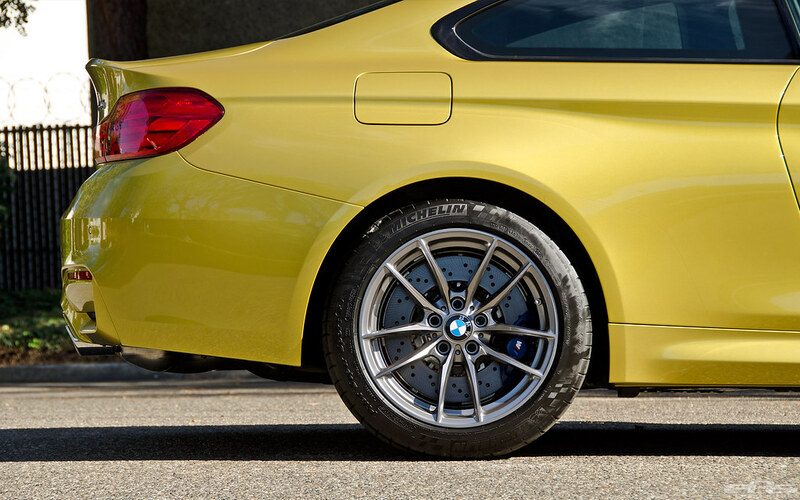 Pity no-one chose the optional 18" wheels on an M4. More sidewall and brakes filling the wheels looks ace as well as obvious ride quality benefits.